I honestly wasn't sure what to expect when I agreed to do this review for Boardwalk Pomade, but I'm happy to say that I was completely surprised at how much of a pleasure it is to style with their Matte Pomade. There is probably only two things that I don't like about the product -- everything else is basically stellar. The design work is wholly text-based and the can reminds me a lot of Uppercut probably just because of the shape. It's a 4.5 ounce jar so slightly larger than your standard pomade size. Cologne-like with a vanilla sweetness -- that's what it smells like to me. Overall, it is pleasant and not super strong in general. Matte Pomade has a very nice and smooth feel as it's scooped out of the jar. You can honestly confuse it for some lotion. After agitating it in my palms, I was happy to feel that it remained smooth. Even when you apply it to your hair, it never grips too hard and you can get the pomade where you need it. While there is plenty of potential for texture in this product, it is potential. There's no forcing hand that you need to use the texture in your hair. 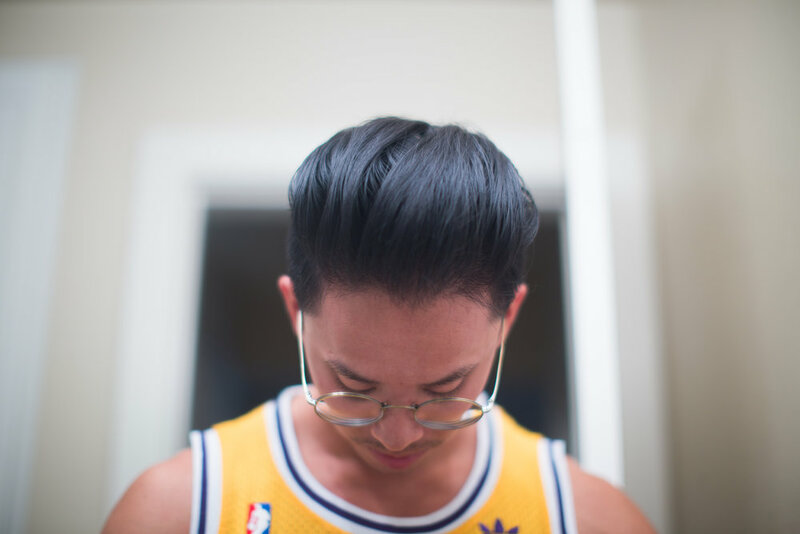 You can style a clean but matte pomp if you want, but there's a beautiful coarse texture to be had with Matte Pomade. This is a second thing that I feel wasn't fully fulfilled by this pomade. It's advertised as a strong hold pomade; however, I think it's best described as a medium. Now, I personally have no issue with a medium hold product, but I wanted to be honest about the discrepancy. This isn't to say it doesn't provide enough hold. Mixed with the light weight, it's plenty of hold. With all these characteristics combined, it is a fine and easy product to style with. I usually don't expect any sort of texture product, whether it be clay or paste, to endure long into the day. This one is no different. Initially, I thought I couldn't apply it properly, but it felt the same throughout my head of hair -- soft. It's an easy process. It is soft and easy to finger comb during the day. No discomfort at all. Nope. I would actually be more concerned with greasiness in this product. Later that night, the product went soft. Really soft. It lost its neutral finish and became more satin-like. The texture became more like a light but dry-ish grease. Though I did not expect when I agreed to this review, I must give Boardwalk Matte Pomade my seal of approval for the fine experience that came with using it. The product is most accurate described by its name: Matte Pomade. Consider the advantages of a medium hold pomade with the lightness and dry stickiness of a paste while permitting the texture of a passive clay. Trust. I would recommend trying this product out. If you're interested, use our promo code THEPOMP to save 18% off your order with Boardwalk. This makes it also one of the most affordable products out there -- a bargain for its performance.